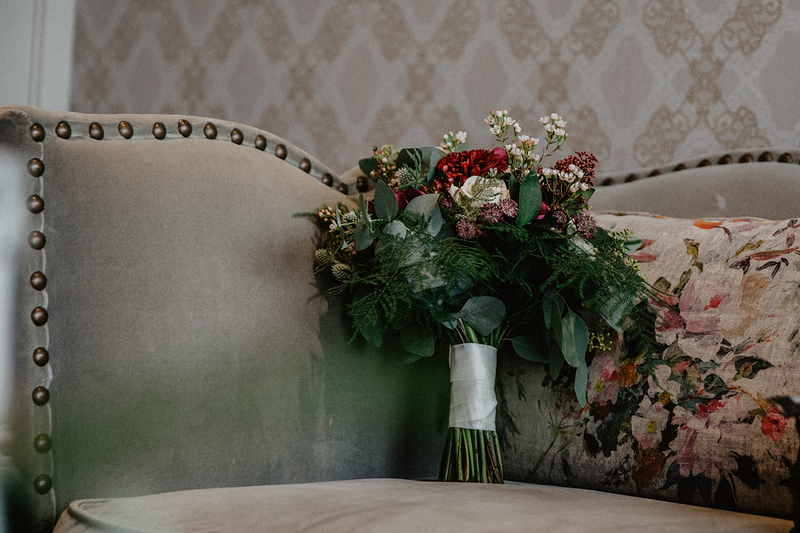 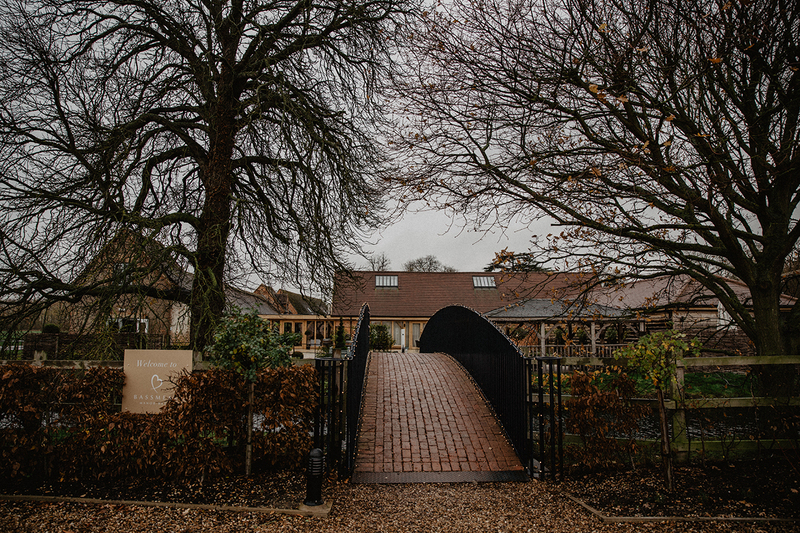 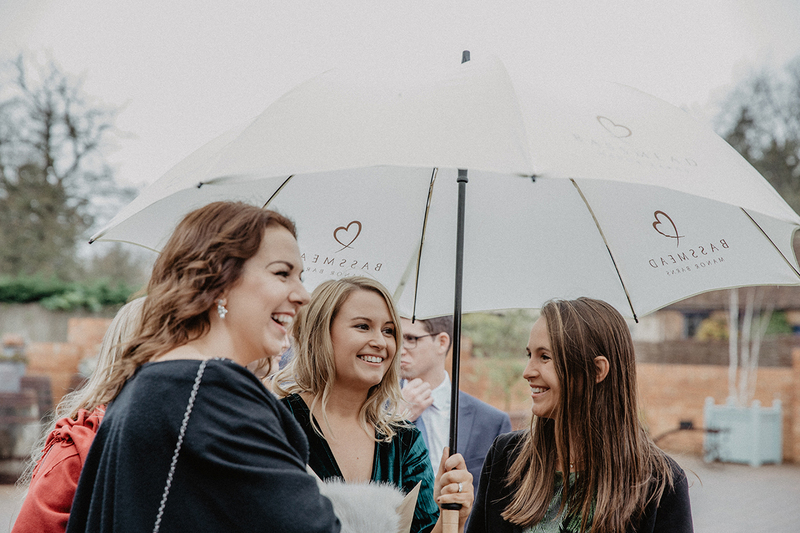 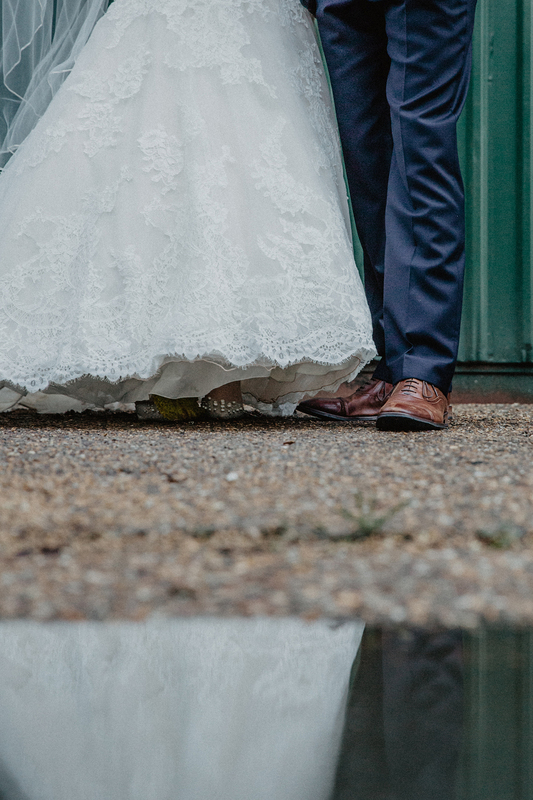 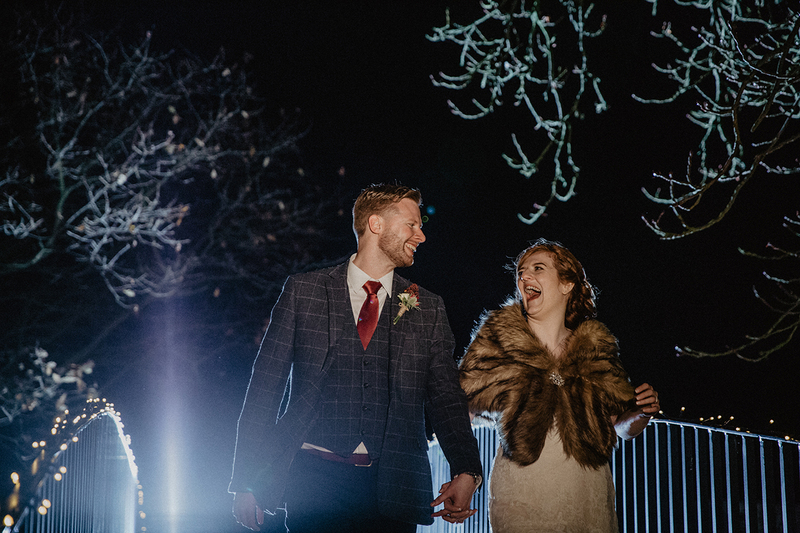 Winter weddings may be chilly but there was a whole lotta love to warm us up at Rebecca and Alex’s wedding. 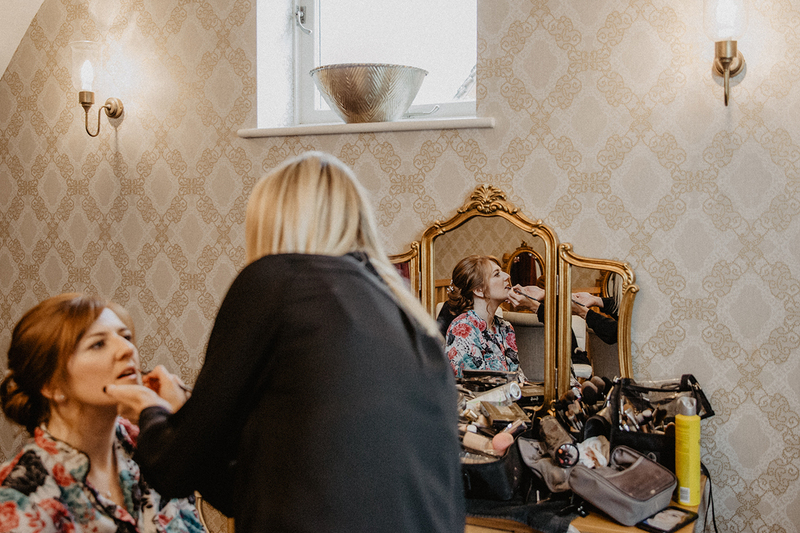 We had such a lovely morning getting ready at Bassmead thanks to Rebecca’s girls who were so friendly and bubbly. 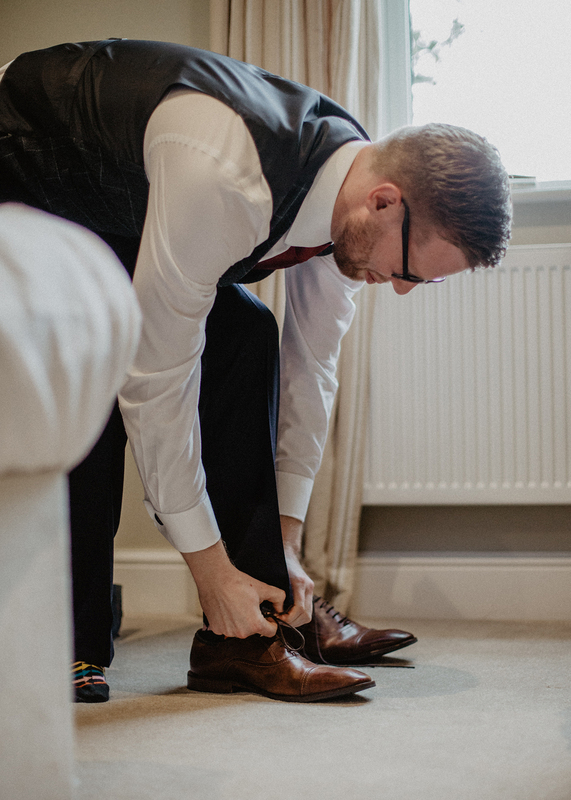 The best kind of vibe to have when you’re getting ready. 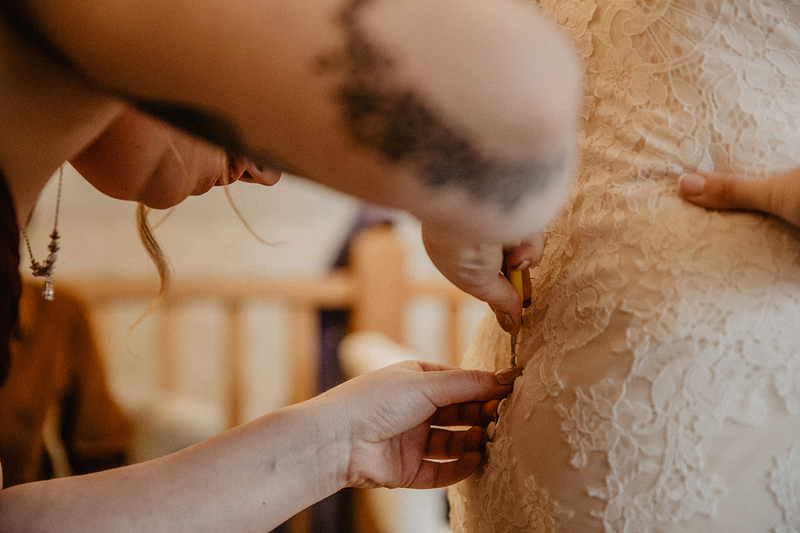 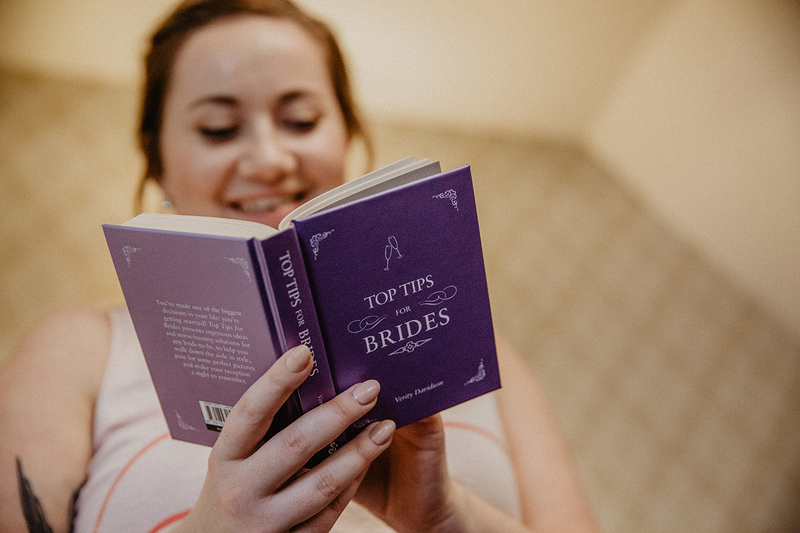 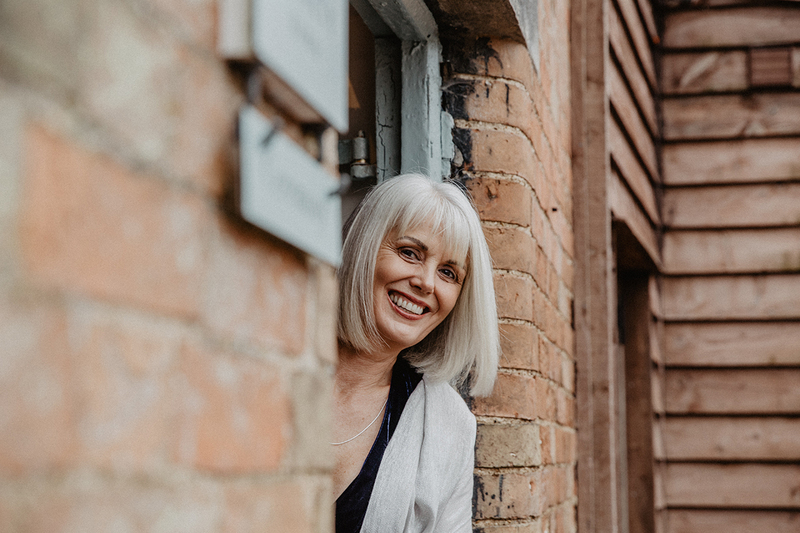 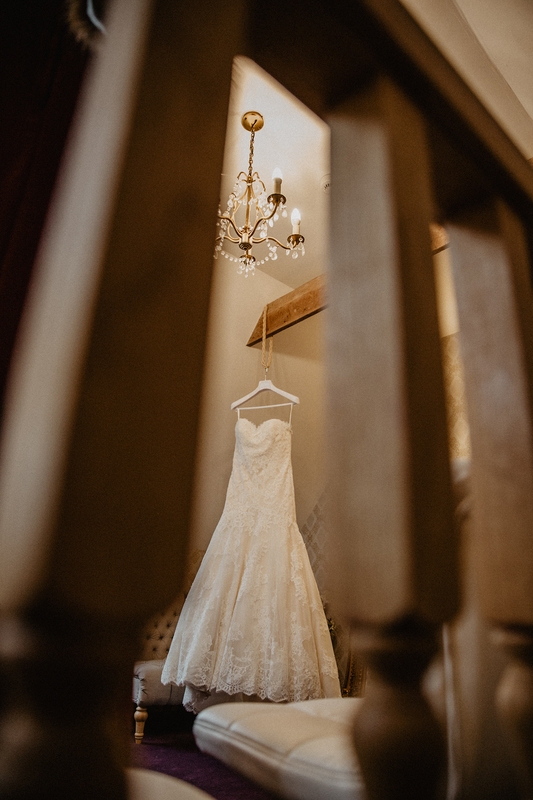 Rebecca had some handy tips read to her by one of her maids from a Top Tips For Brides book, some of which made us giggle, some perhaps a little redundant but either way, a nice touch. 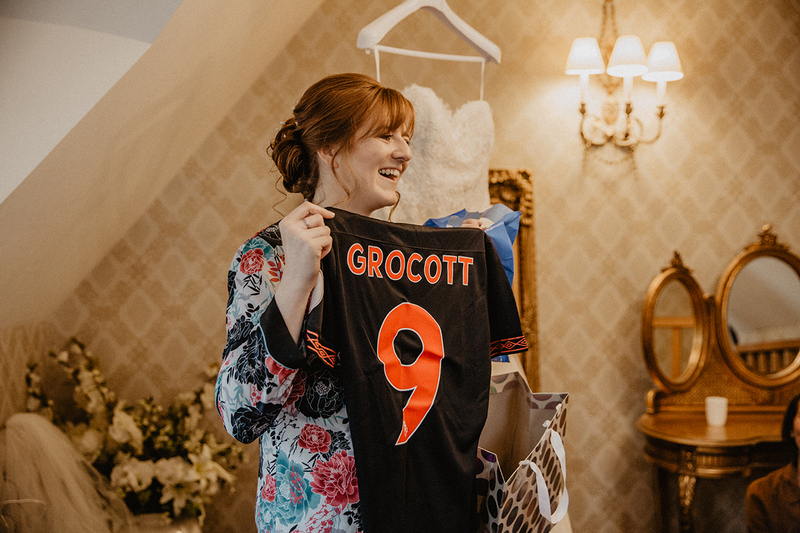 Another nice touch was the gift Rebecca got from Alex… a Huddersfield Town football shirt, personalised with soon to be new surname plus, a set of clubs and some lessons. 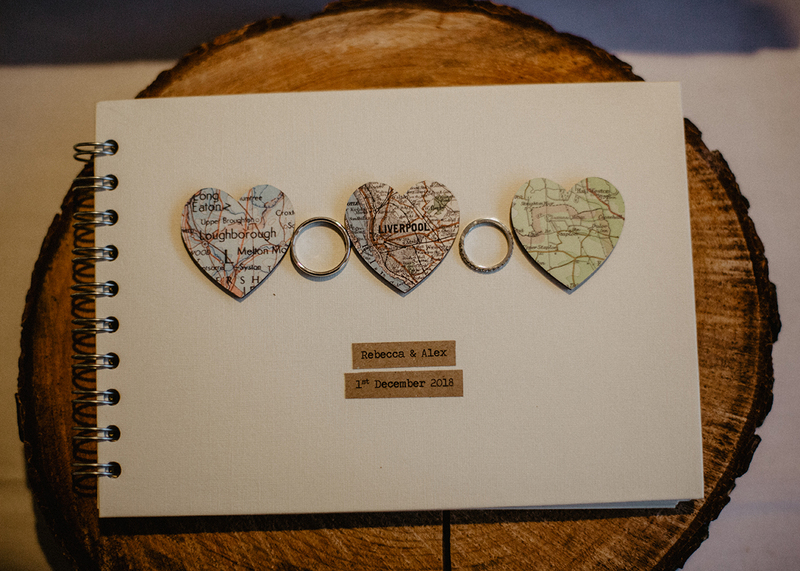 These came with a get out clause that if she lost interest in playing the game, she could revert to his caddy instead! 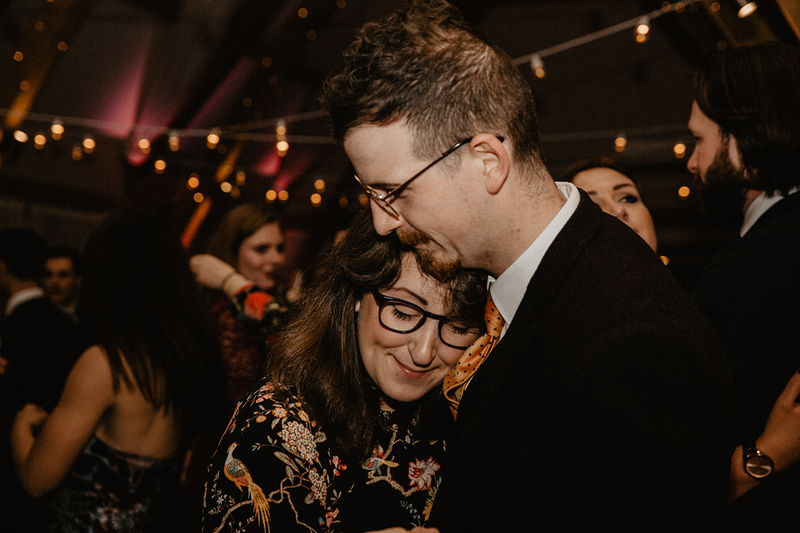 Once again, more laughter filled the room. 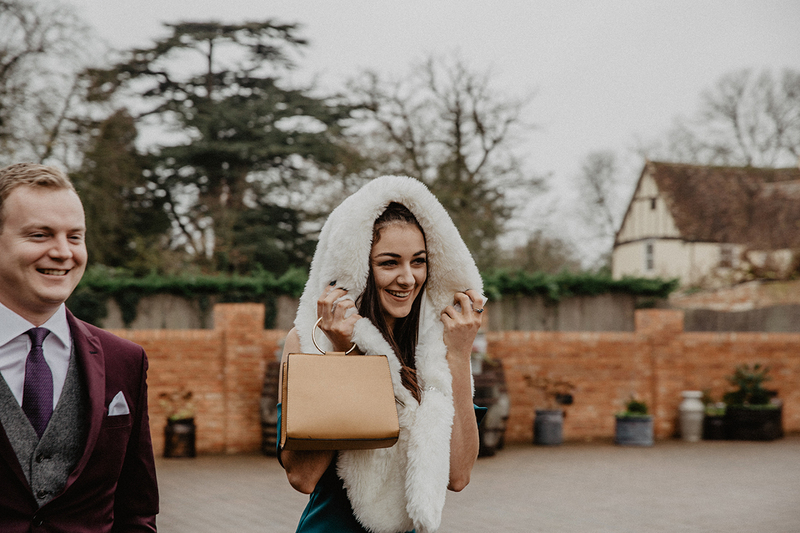 Rebecca looked beautiful in her White One dress from Satin Bow Bridal, paired with the perfect winter wedding accessory, a faux fur shrug for the nippier moments. 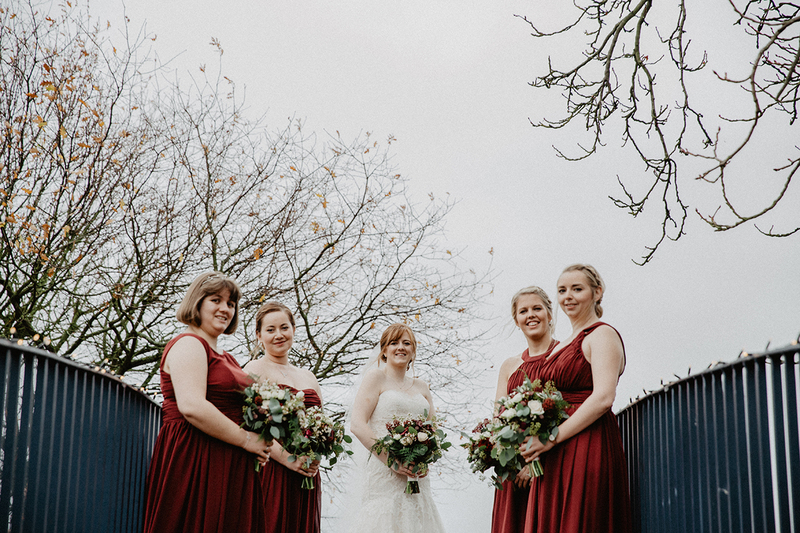 Hair and make up were done by Jade Walker and the gorgeous blooms were by Helen Jane Floristry. 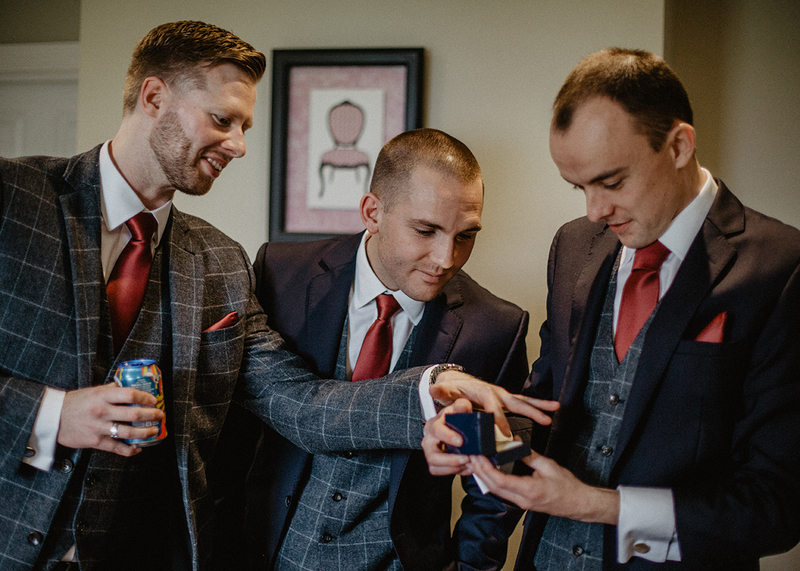 Alex and the lads also got ready at Bassmead. 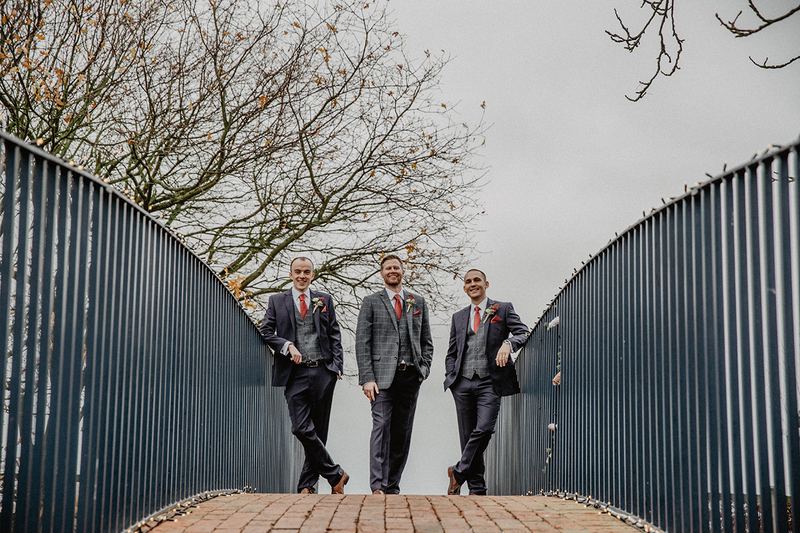 Their suits from Moss Bros also tied in beautifully with the winter wedding theme, warm but super stylish. 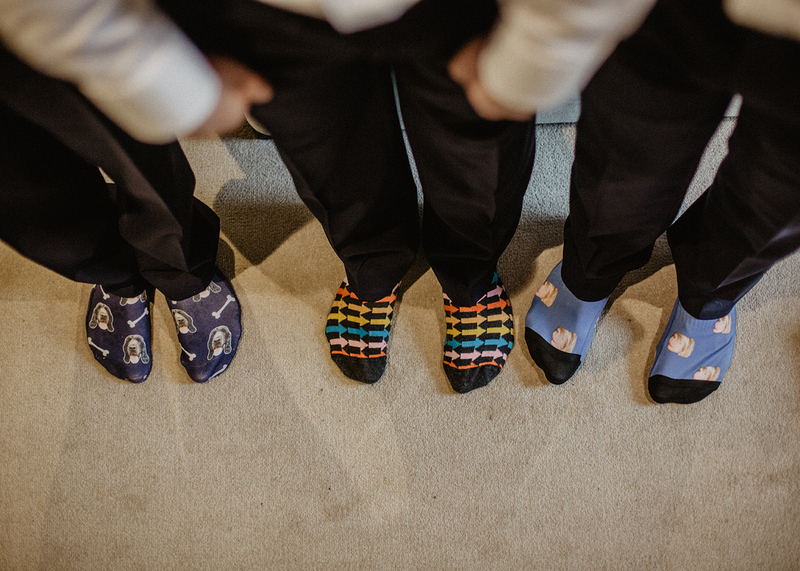 Time to get married and party! 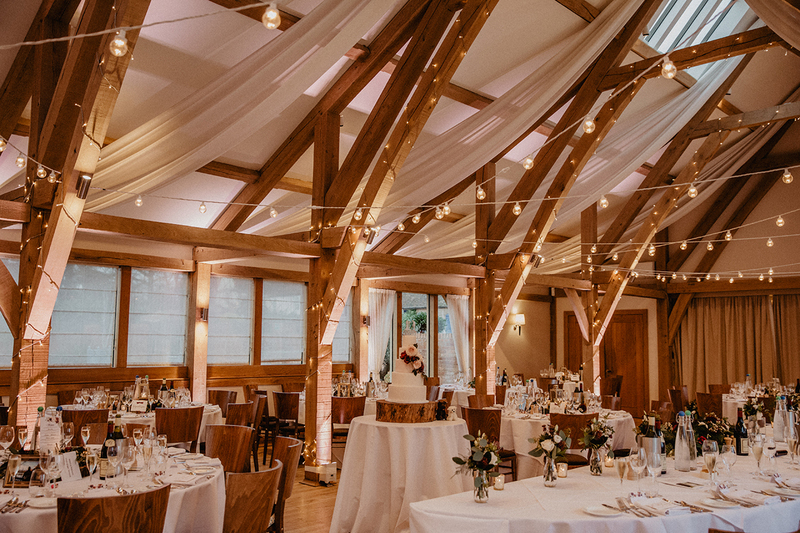 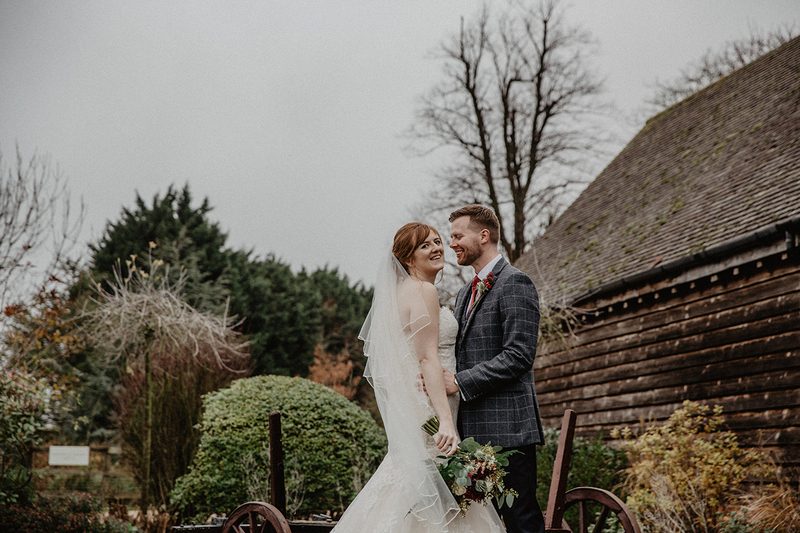 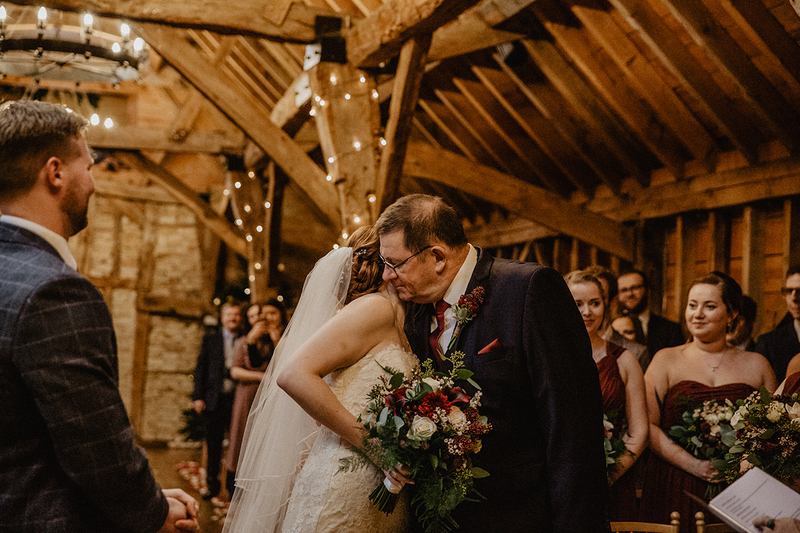 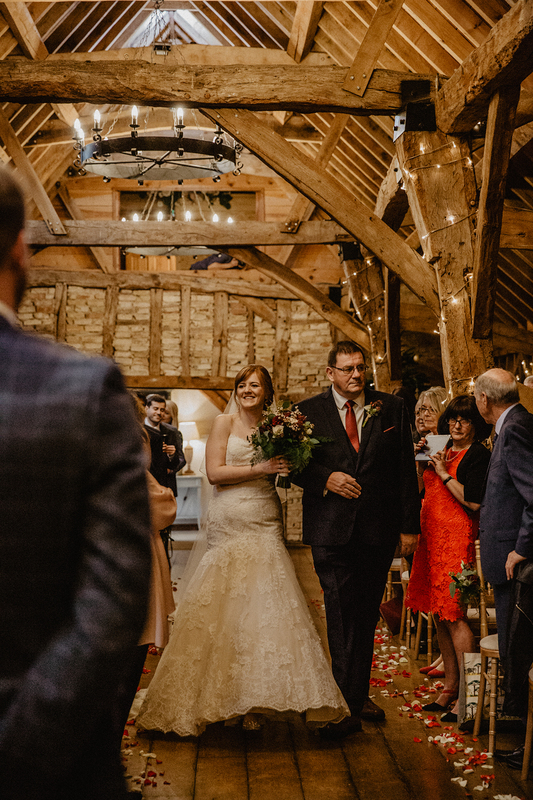 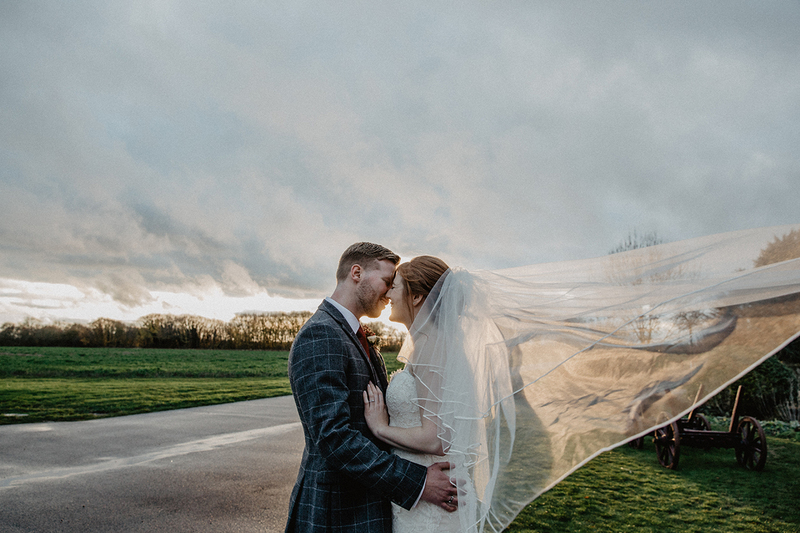 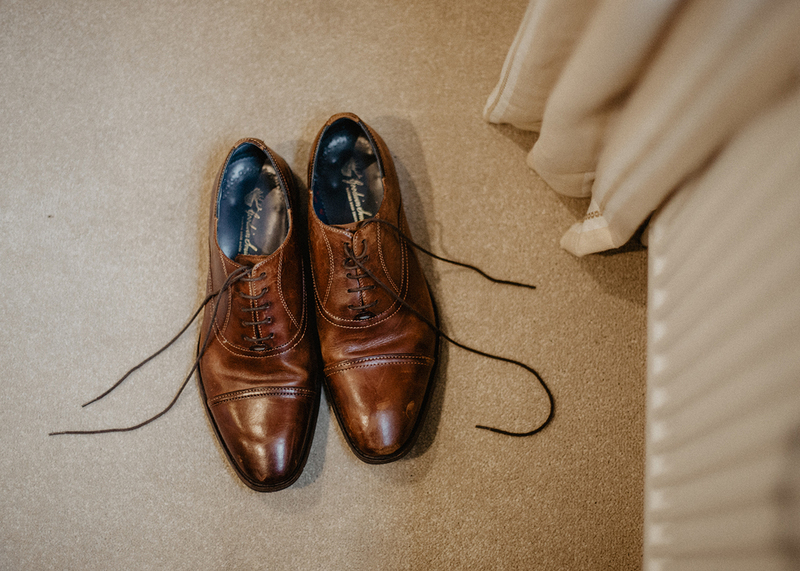 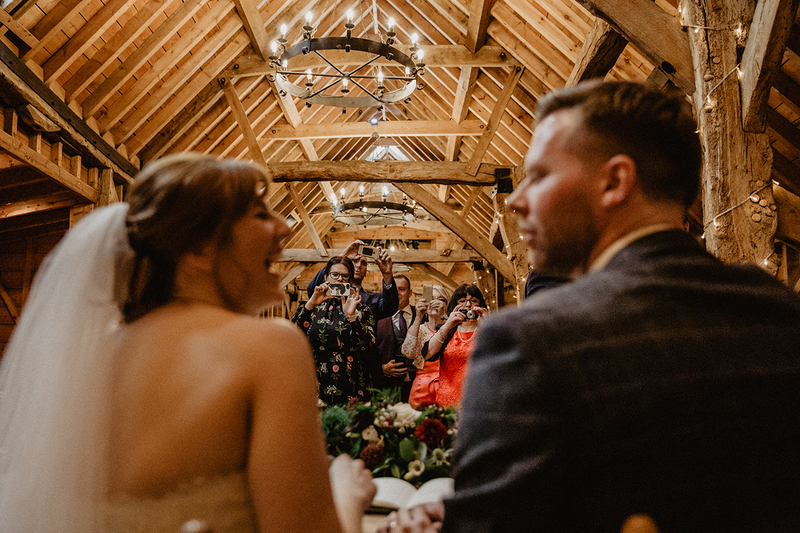 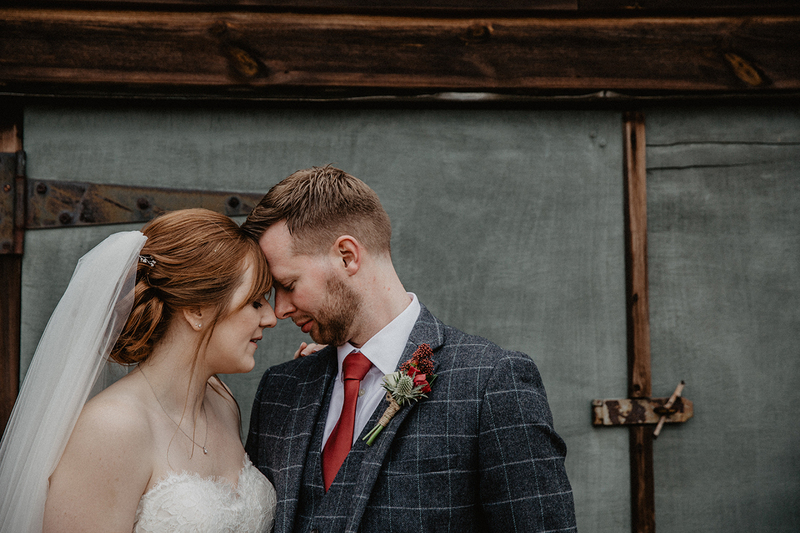 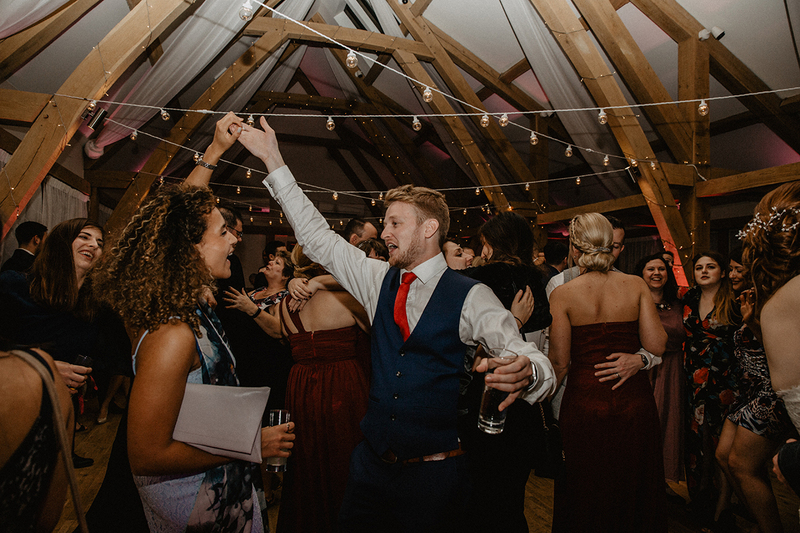 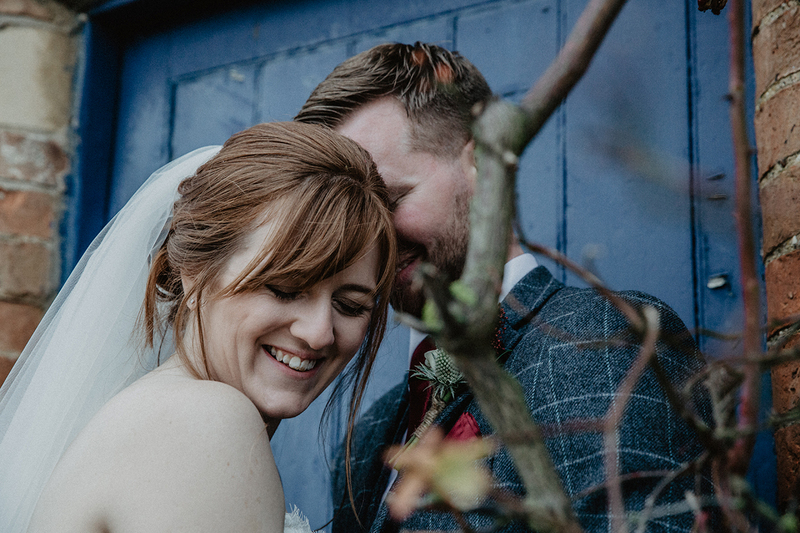 Winter months may mean it’s cold outside but it was super cosy in the Rickety Barn where Rebecca and her dad headed down the aisle to Alex. 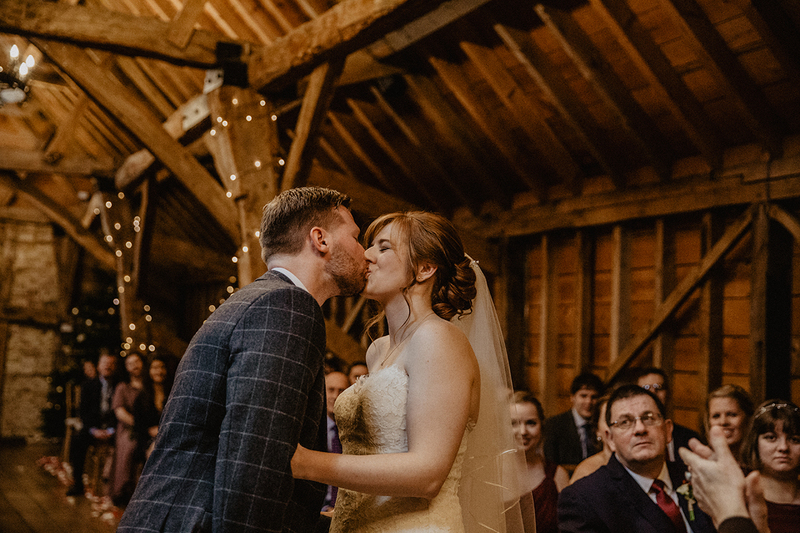 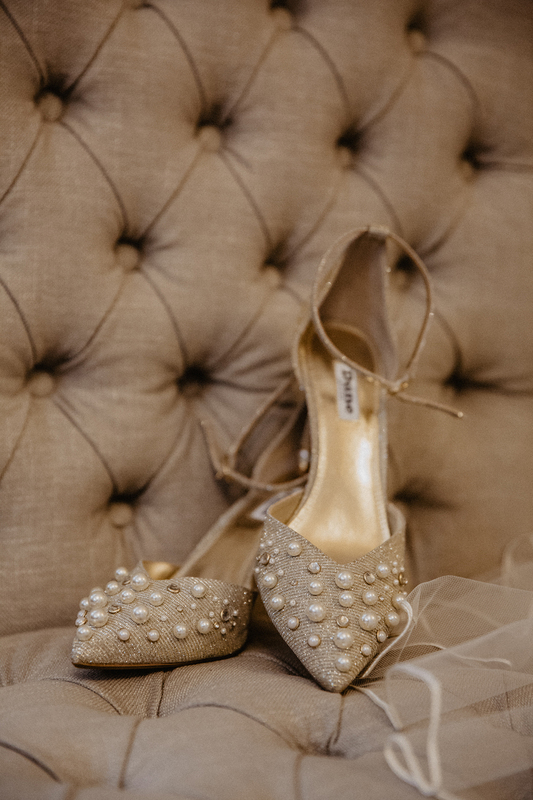 They shared some really special looks throughout the ceremony and treated their guests to some heart felt words. 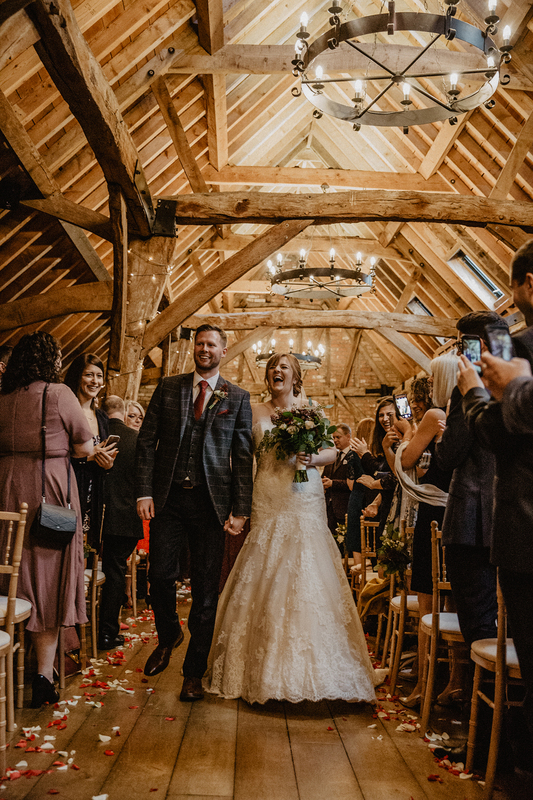 After officially becoming Mr and Mrs Grocott, they walked back up the aisle as a newly married couple with beaming smiles and a round of applause. 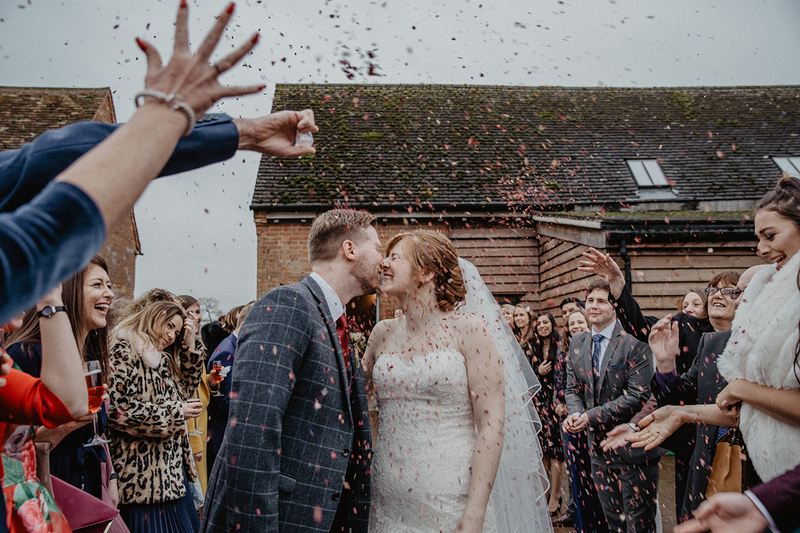 Queue my most favourite part of the day… CONFETTI! 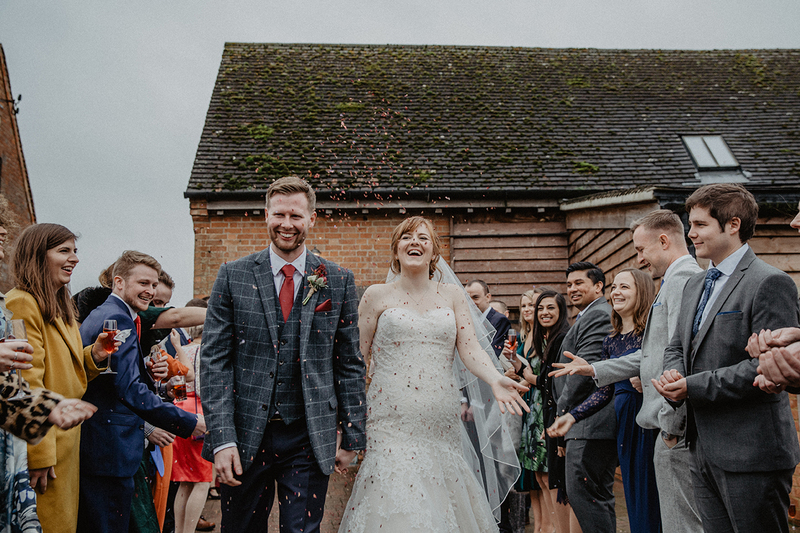 Rebecca and Alex strolled through the crowd whilst being showered with confetti, so colourful and bags of fun. 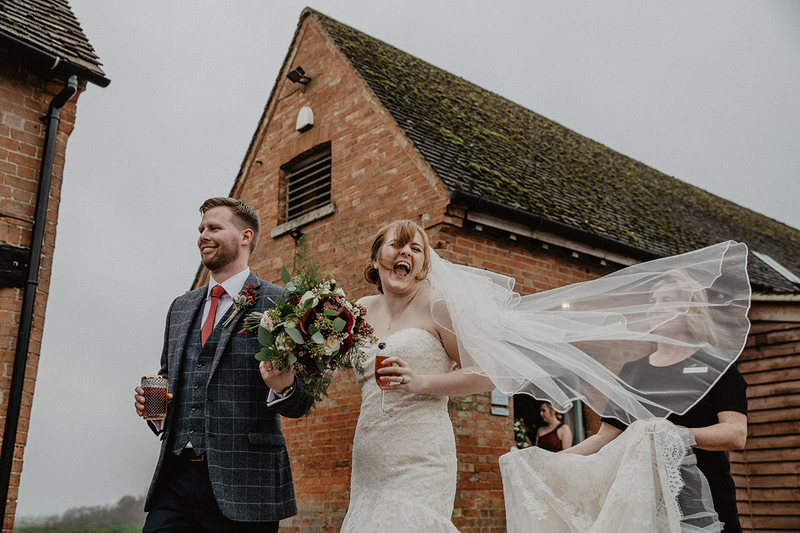 Guests aren’t always the biggest of fans of group shots, especially in the winter however this bunch were awesome. 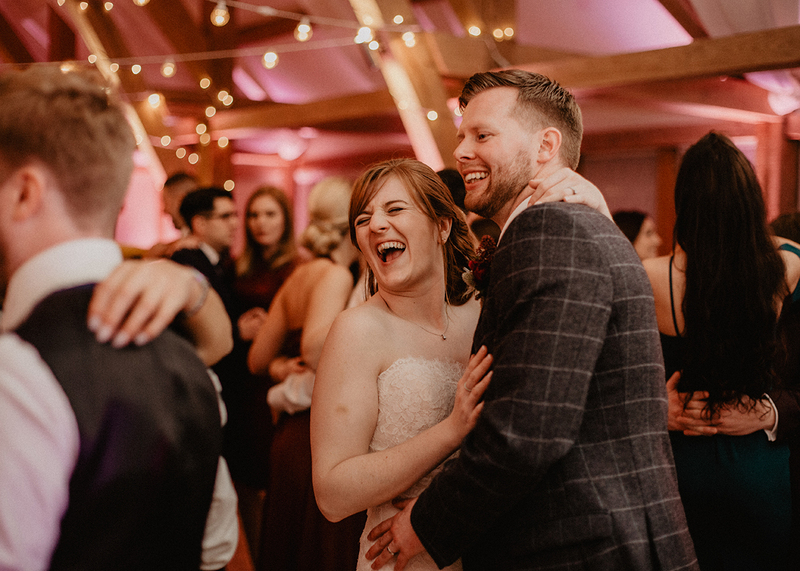 Alex and Rebecca smashed their couple shots. 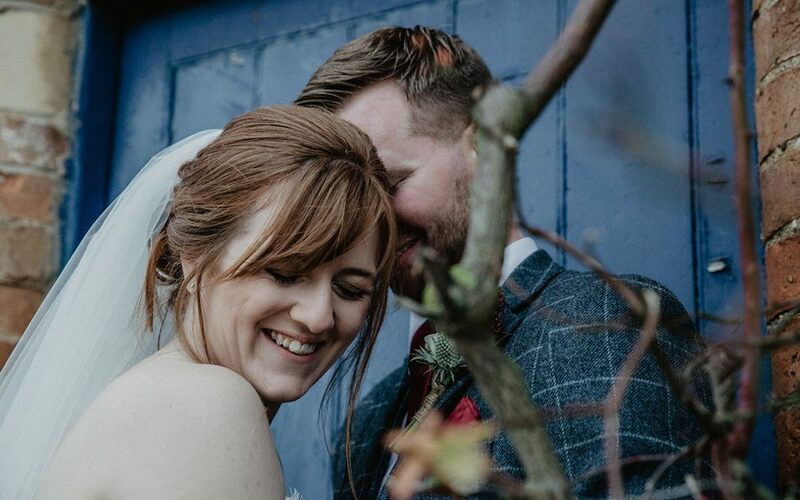 The perfect balance of laughter and intimacy. 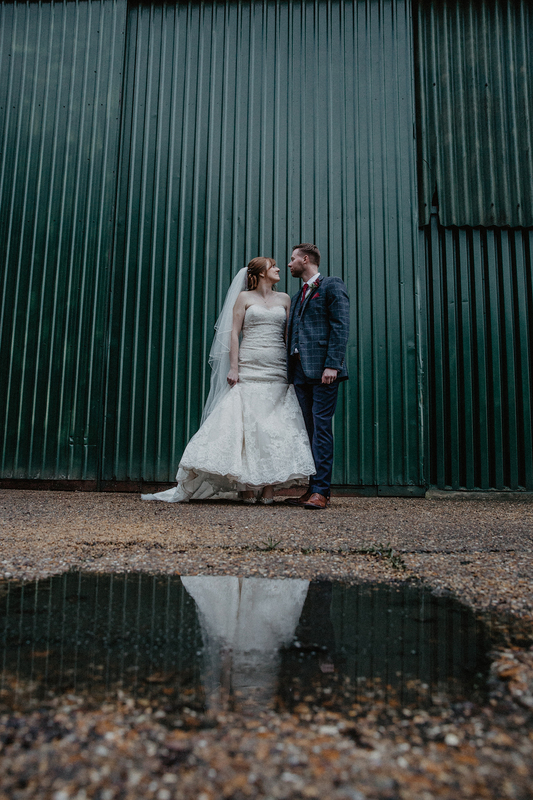 The grounds at Bassmead have a number of stunning spots to capture couple portraits. 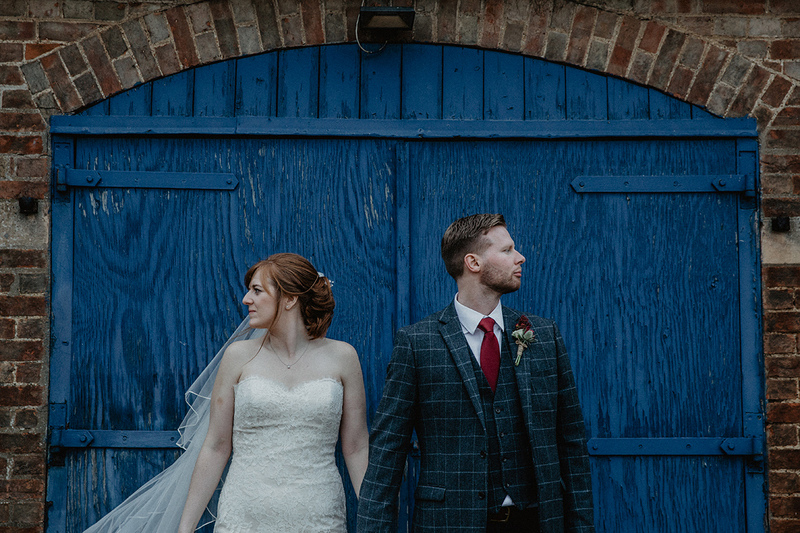 A mixture of textured, colourful backdrops and rural open spaces therefore creating interesting and varied images. 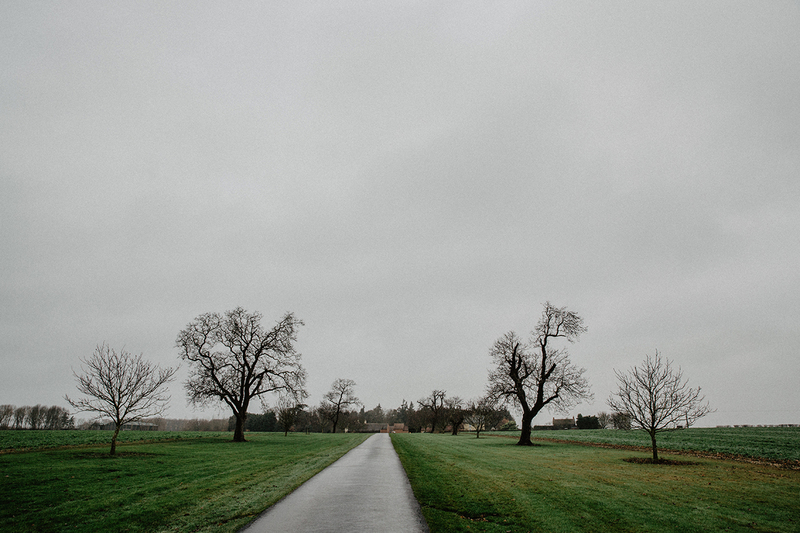 Moving to various locations also allows the couple to wander around, making the whole experience a lot more relaxed. 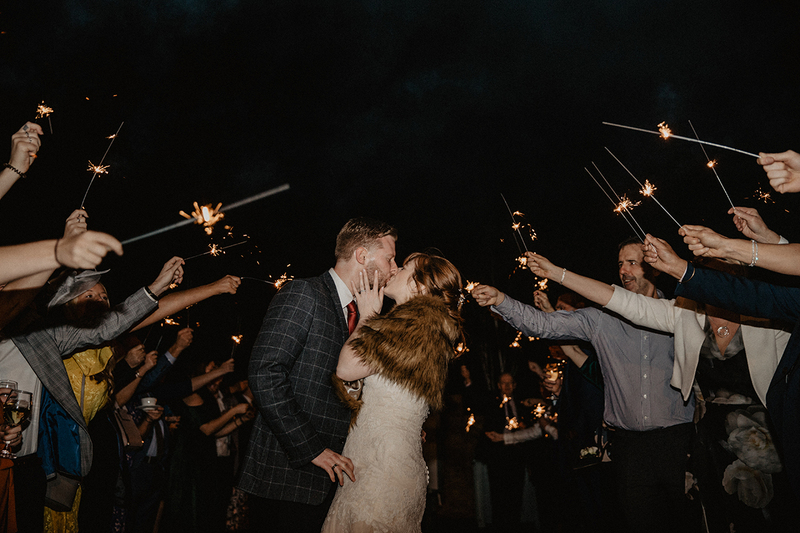 It wasn’t long before the couple rejoined all their guests and speeches and food were underway. 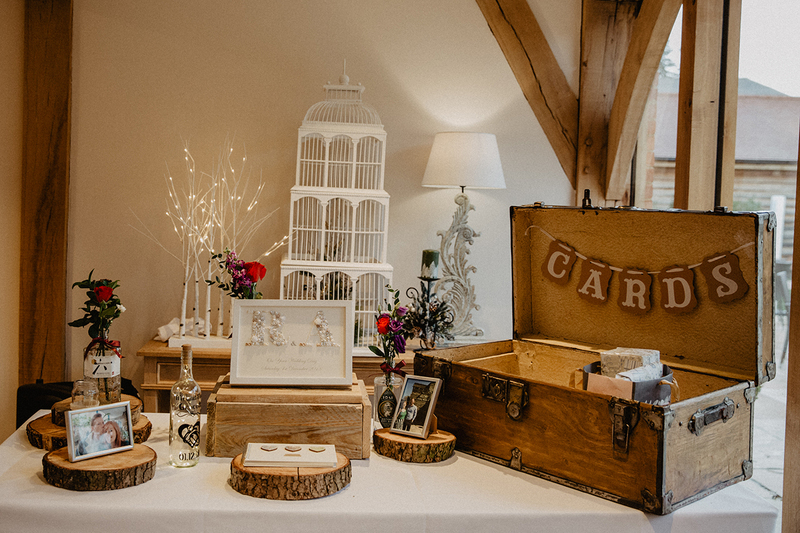 The meal went down a treat thanks to Galloping Gourmet and that cake… Meadowsweet Cakes it was off the chart! 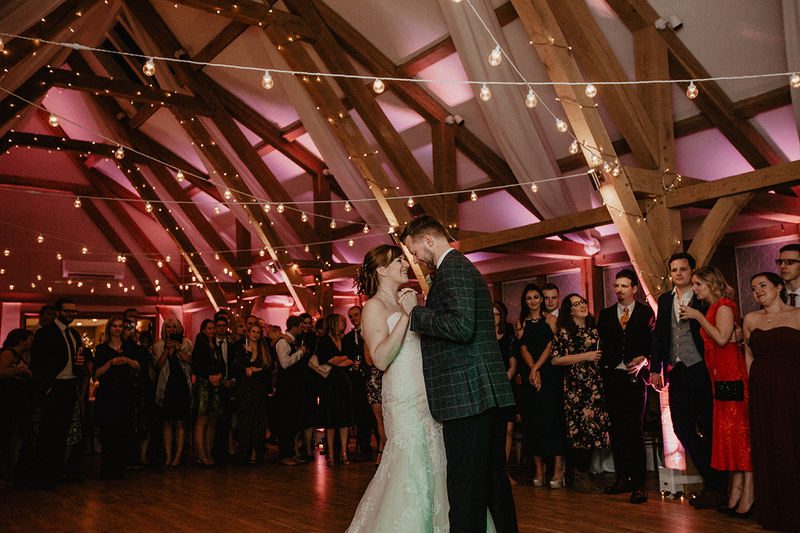 The evening kicked of with a cute first dance and then it was time for The Soul Thieves to take to the stage and entertain the crowd. 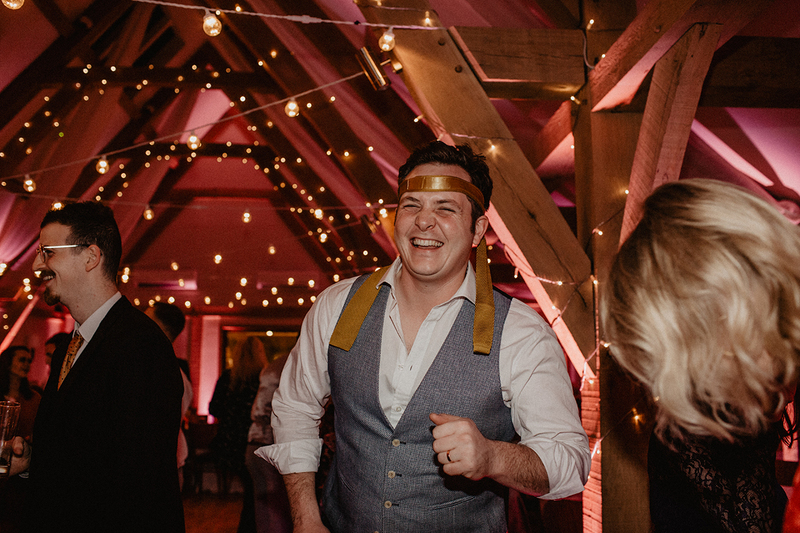 The night was spent dancing, drinking and generally having an amazing time. 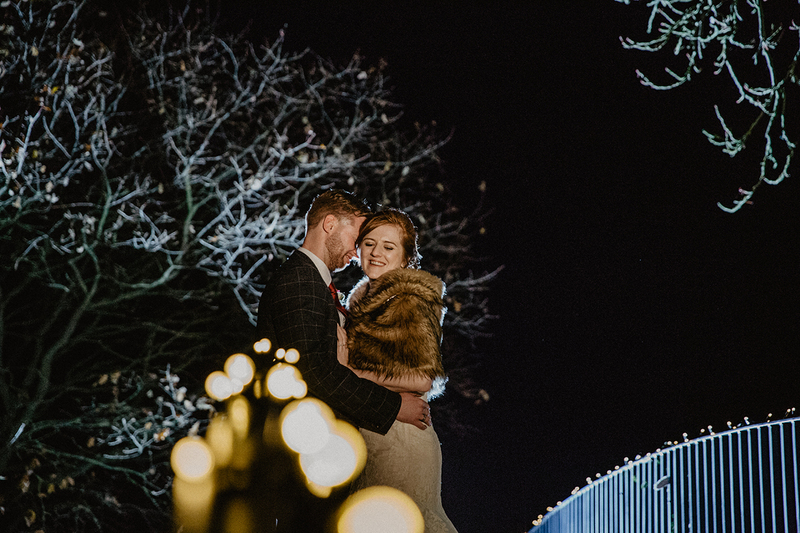 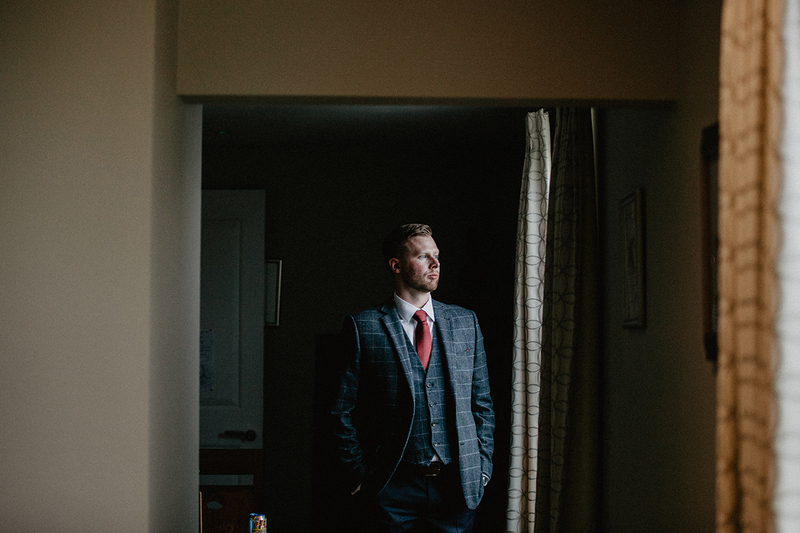 I loved capturing Alex and Rebecca’s winter wedding. 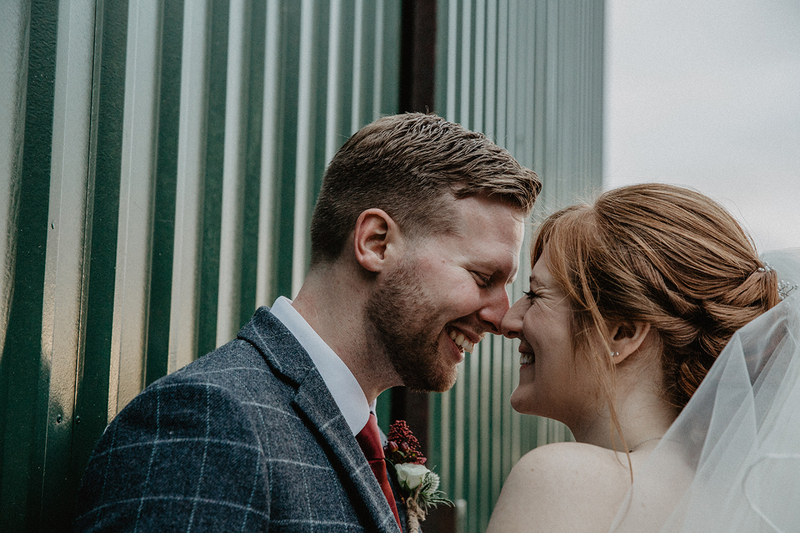 Thank you so much you two for choosing me.